Democratic candidate Andrew Gillum has tried to obscure his relationship with the group, but the record is clear. During this election, Gillum signed the Dream Defender pledge, ostensibly to refuse money from the NRA and from corrections contractor the GEO Group. Regardless, the DREAM Defenders’ pledge itself is evidence of far left radicalism. By signing this pledge, Gillum announces that he agrees with the hard left’s anti-gun, open borders agenda. His pledge to the far left group is consistent with his record. Dream Defenders’ opposition to the GEO Group is not only based on the fact that they are a “private prison,” but largely because they contract with Immigration and Customs Enforcement (ICE) for illegal immigrant detention. This so-called “action” even includes the spread fake news to achieve their goal. One of the worst smears the group has spread is that GEO Group runs “special prison bus for babies” for ICE. Naturally, the left-wing group saw this “evidence” as another example for why ICE should be abolished. However, the truth is quite different from what Dream Defenders peddles. According to the Weekly Standard Fact Check, GEO Group on behalf of ICE, operates the buses to take young children staying at family detention facilities with their mothers on field trips, not for deporting toddlers to their native country. “Each seat has a convertible child safety seat and is equipped with a DVD system with four drop down screens to provide entertainment to the children with onboard movies during transport missions,” an internal report on the buses states. The buses also come with no bars or steel cages. These are hardly the terrifying prisons buses Dream Defenders make them out to be. Instead, the buses demonstrate that the operators of immigrant detention are committed to providing a humane service to those illegally in the United States. Just like Dream Defenders targets the NRA in an effort to undermine the Second Amendment, they are targeting contractors to undermine our immigration laws in an effort to abolish ICE. Andrew Gillum is fully on board with this agenda, and has called for the “abolishment of ICE in its current form.” This position is far out of the mainstream — polls show only 25 percent of Americans support abolishing ICE. Saul Alinsky instructed Radicals to “Pick the target, freeze it, personalize it, and polarize it. 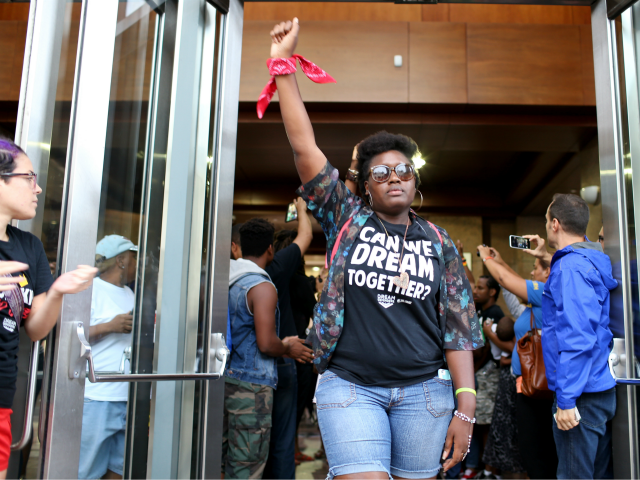 Cut off the support network and isolate the target from sympathy.” This is exactly what Gillum and the DREAM Defenders are trying to do by attacking companies and associations instead of actually defending their highly unpopular and radical positions.